Soho The Club: Information, promotions & guest list. 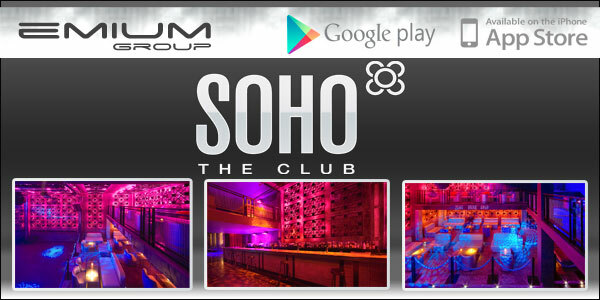 Enjoy the most exclusive atmosphere booking a vip table at Soho The Club . You will enjoy a place more private and not have to worry about queues or crowds of people. Free entry or discount to access to Soho The Club. Do not pay more than others to enter at Soho The Club! One of the most amazing clubs located on Aribau Street, Barcelona. Revitalised by Grupo Costa Este, has revolutionized the concept of disco and has earned a privileged place in public in the city.